What cuts do you get from a French cow? 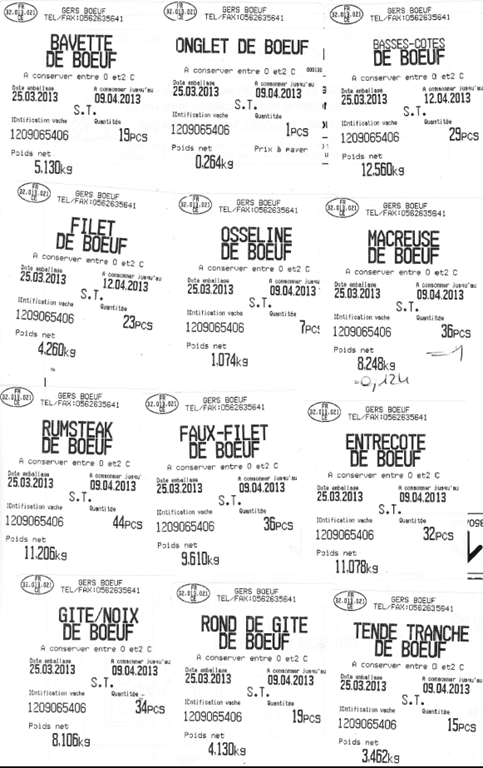 The last cow we sold gave us 222 kilos of beef. She was a 3yo heifer and having tasted the basses-côtes we’re very happy. When we pack and pick up our meat the butcher gives us a page with a lot of printed stickers showing how much of each cut the cow gave. Translations here. We divide all these cuts as equally as possible into each box. Here is a page on la-viande.fr where you can hover over the cuts to see what name they are. This is the opposite of what you want, but still it is useful to click around. I’ll be doing a key in a new post starting with the French cut name. 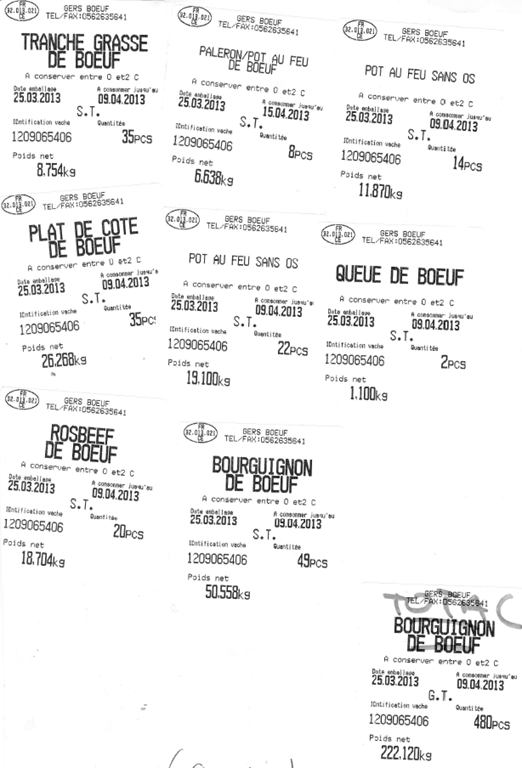 What are the English equivalents of French beef cuts? I’m staying old school and using a regular blog but Jean is on fb once a week – she owns that page. I like the blog! I do Facebook, too, but the blog seems more personal. I’m glad you’re keeping it! How nice that your butcher gives you that; we have to calculate it ourselves.